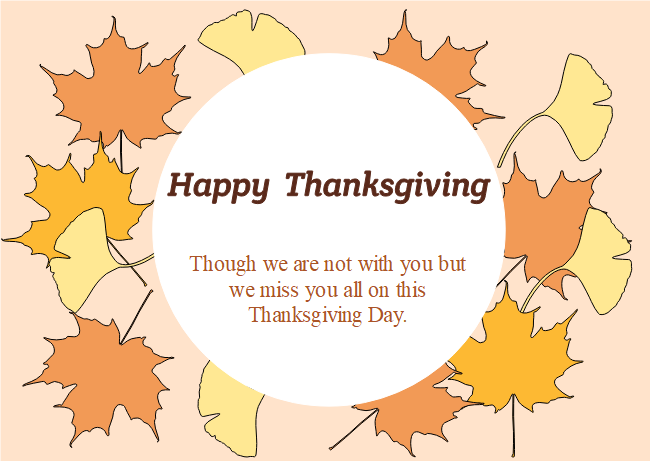 Description: Express your appreciation of someone with this maple leaves Thanksgiving card template. Text is set in a brown typeface, framed by a white circle. Use Edraw's editing tools and exquisite symbols to make it crafty. Changing the text into a script typeface would make it looks handmade.